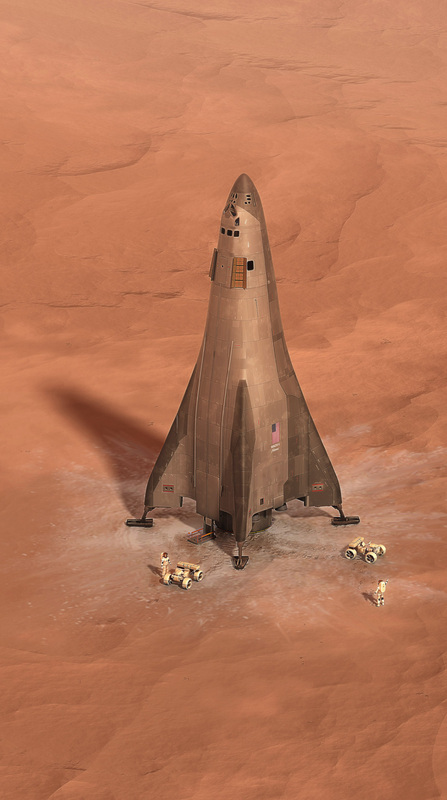 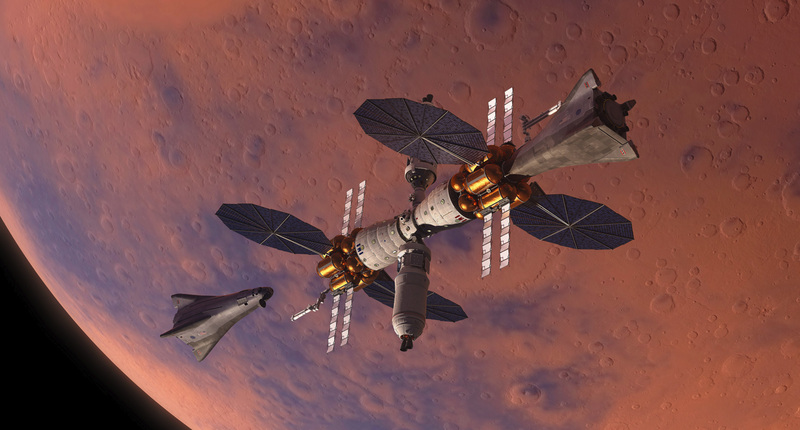 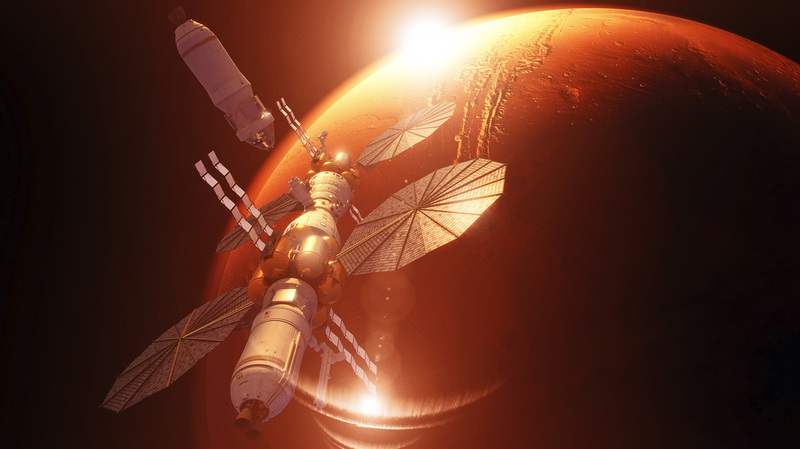 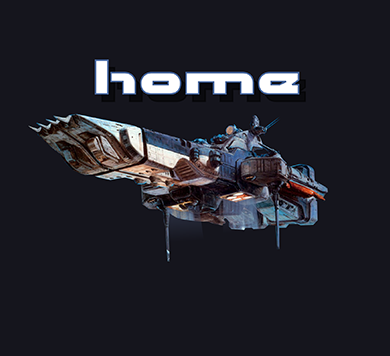 Mars Base Camp is Lockheed Martin’s concept for sending humans to Mars in about a decade. 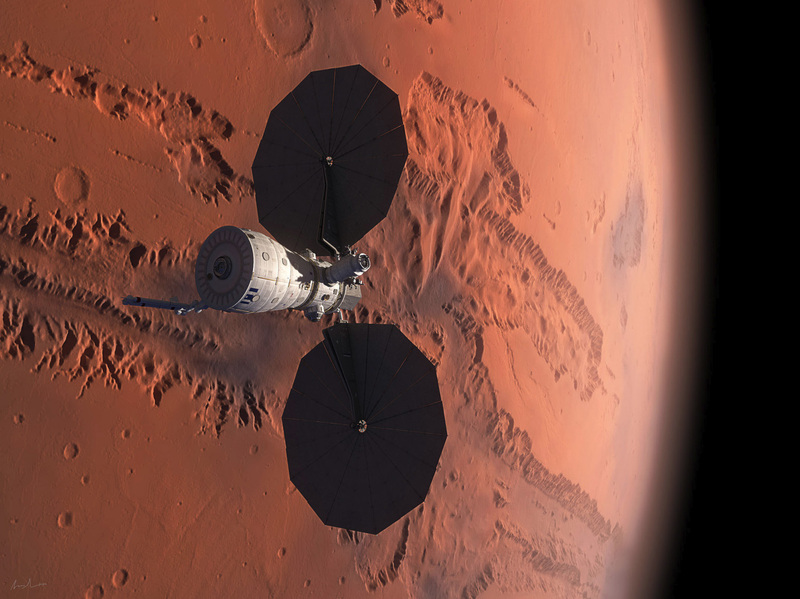 Using NASA’s Orion spacecraft as the command deck, the orbiting outpost could give scientists/astronauts the ability to operate rovers and drones on the surface in real time, helping us better understand the Red Planet. 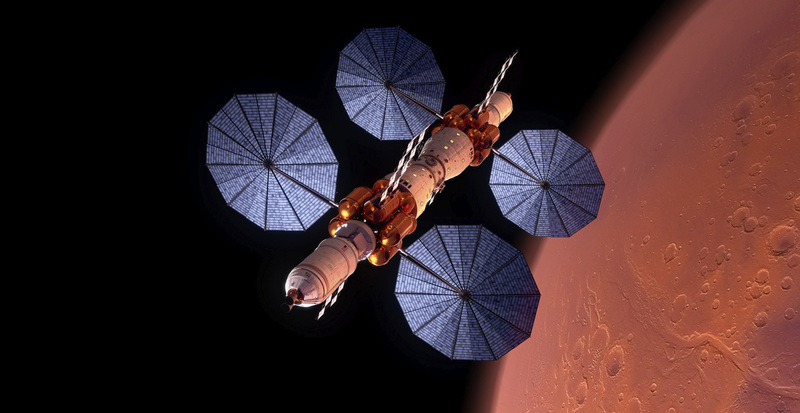 This illustration shows the pre-deployed Mars Lab and its solar electric propulsion system arriving at Mars. 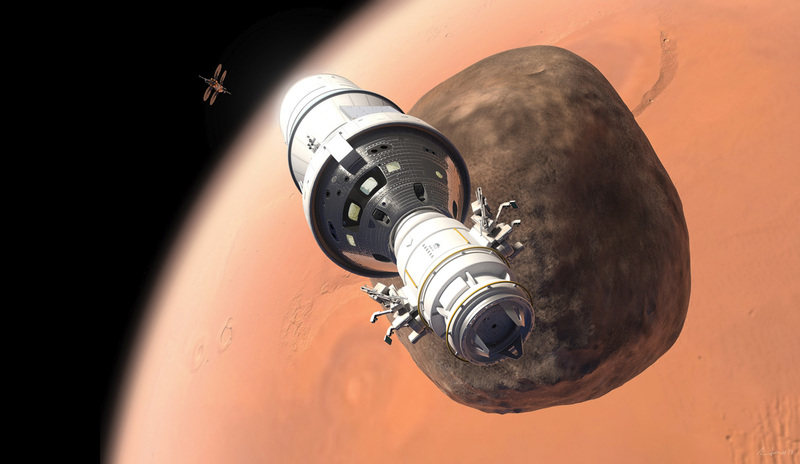 Using NASA’s Orion attached to an excursion module, scientists/astronauts can go to the moons of Mars, Phobos and Deimos, and study the bodies up close. 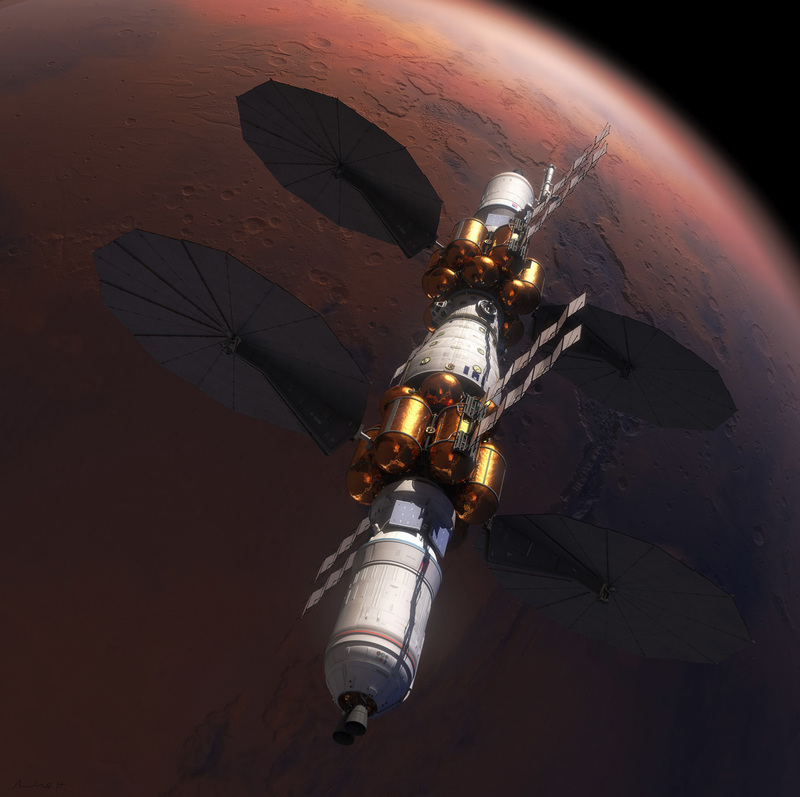 The Mars surface lander called the Mars Accent Descent Vehicle (MADV) is a single-stage system that uses Orion systems as the command deck. 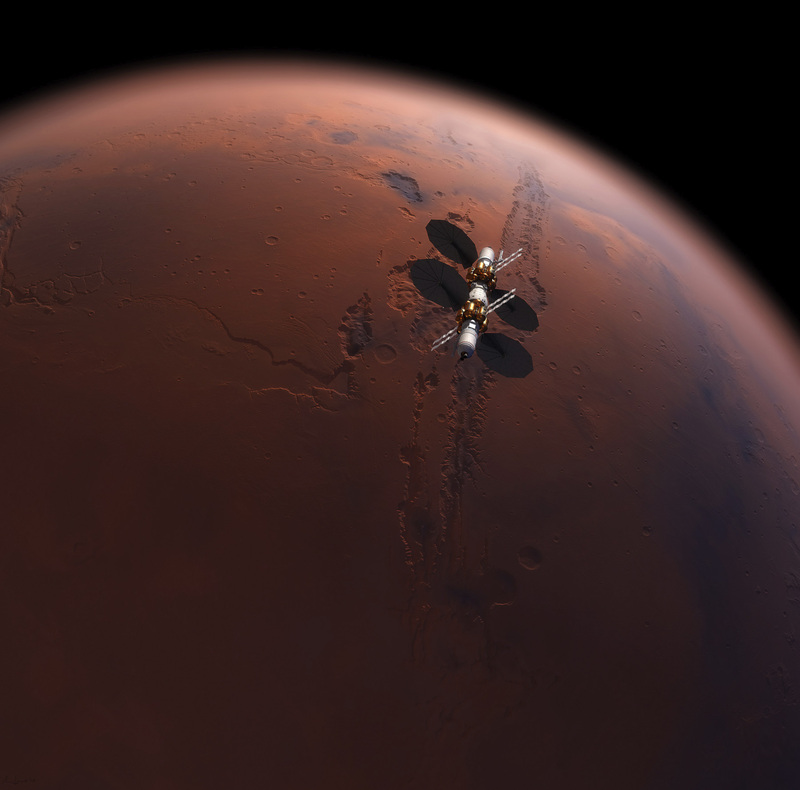 It could allow astronauts to explore the surface for two weeks at a time before returning back to the Mars Base Camp in orbit around Mars.